Corey and Rachel's elegant hinterland wedding at Summergrove Estate was our very first time stepping foot in the venue's brand NEW white barn - and it definitely exceeded all of our expectations! With natural light, polished concrete floors and timber trusses, the contemporary new barn was the perfect backdrop for Corey and Rachel's modern luxe reception. Styled by the talented team at Ivy & Bleu events, our gold Soho dining chairs added a touch of glam into the space, paired with dove grey cloths, romantic white rose arrangements and hanging foliage. Out on the lawn, a selection of relaxed cocktail furniture was scattered around the space including our Icelandic marble dry bars and gold Icelandic wire stools. Pops of grey and yellow contrasted perfectly with the fresh white and green colour palette, with metallic details tying each area together beautifully. 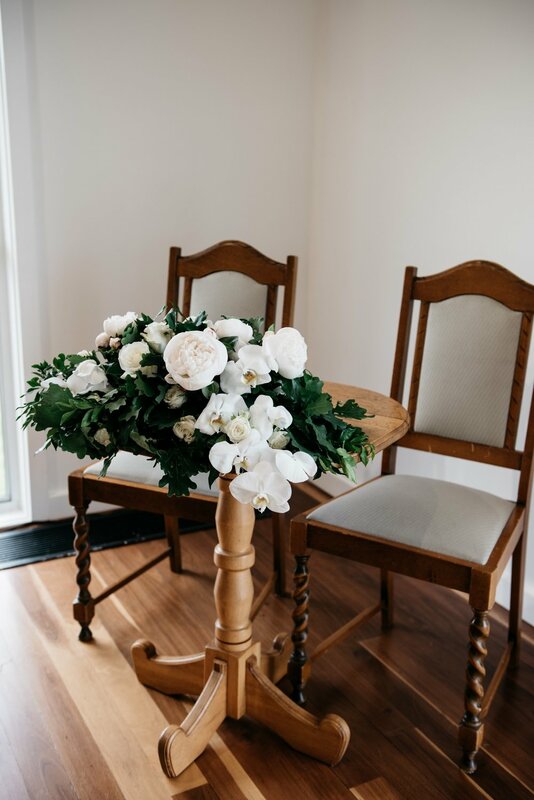 We loved being involved in this incredible day - see more from Corey & Rachel's Summergrove wedding below (captured by Bryce and Lauren), along with our furniture hire suggestions to recreate this look! To recreate this modern elegant look for your own event, here are our top furniture and decor suggestions to get you started. You can view all of our hire collections online, or get in touch with our team for a copy of our catalogue. Our Top 10 Blogs from 2017: Real Weddings, Planning Advice, Styling Tips and more!